When your home or business is affected by fire, we are committed to helping you through the difficult steps of cleanup, repairs, and rebuilding. We know and understand that this is a high-stress and difficult time. We handle each job with care, integrity and respect. We strive to go above and beyond to make the restoration process as easy on you as humanly possible. 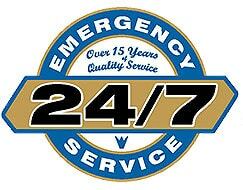 We provide emergency 24/7 services, so whenever you need us, we’ll be there. We are a full-service restoration company and will be there every step of the way from securing your property, cleanup and repairs, to the full reconstruction of your property. 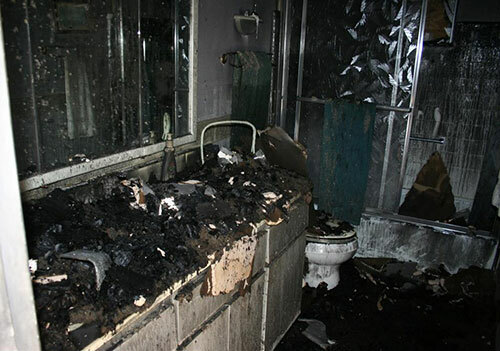 During a fire, smoke and soot residues are deposited on virtually every surface in the affected area. Ceilings, walls, floor coverings, furniture, window coverings, ductwork, and any contents within the area have all sustained damage and require cleaning and deodorizing. Smoke can result in permanent damage to hard surfaces, causing etching and discoloration on glass, metal, and countertops, fixtures, and appliances. We will carefully clean and deodorize all affected areas and items. We utilize thermo fogging, which applies a smoke & odor neutralizer to all areas that the smoke has reached, and ozone machines to disinfect and deodorize. We will also clean and sanitize the furnace and ductwork. We know that when your property is affected by fire, the contents within your property are also affected – whether directly by the fire, or indirectly by smoke, soot, or water damage. At Valleywide Restoration, we provide comprehensive fire damage restoration services including the restoration of your personal items. Our professional team will carefully inventory and pack the items in your home or business and transport them to our state-of-the-art contents cleaning facility where they will be cleaned and restored. We will store your items for you in our secure facility until your property has been repaired and you are ready for the items to be returned. We utilize the latest cleaning and restoration techniques to restore a variety of personal items including furniture, clothing, bedding, documents, dishes, and more. To learn more about our contents restoration services, click here. Fires often cause a significant amount of damage to the property, and what is not directly impacted by the fire itself is often affected by heat, smoke and soot, and water or physical damage resulting by firefighting efforts. The cleanup and repairs necessary after a fire are often complex, and having an experienced fire damage company like Valleywide Restoration on your side ensures your property is restored quickly and efficiently without sacrificing quality. Valleywide Restoration will help guide you through what is hopefully a once in a lifetime event and return things back to normal as quickly as possible. Immediately after the fire, we will take steps to boardup and your property. We’ll assess the damage, and develop a comprehensive plan to mitigate the damage, cleanup the mess, and repair your property. We will work with you from start to finish, and will will directly with your insurance company on your claim. Our focus on mitigation over reconstruction means we restore everything that can be restored without resorting to construction, but will also coordinate the reconstruction portion of the job from start to finish. To learn more about our reconstruction services, click here. Limit the movement and keep hands clean in the structure to prevent soot particles from being permeated into carpet, upholstery, walls and woodwork causing more damage. Clean and protect chrome trim on kitchen appliances, bathroom faucets, tub fittings, cupboard handles etc. with a light coating of vaseline or other oil. Remove pets (especially birds) to a clean environment. Empty freezer and refrigerator completely if electricity is off; prop doors open and wash plants with water on both sides of leaves (water softner helps). Blow off or brush vacuum loose smoke particles from upholstery, drapery and carpet. Pour antifreeze in toilet bowls and sinks and tubs to prevent freezing if heat is off in winter. Call plumber to drain heating system if heat is off in winter. Tape double layers of cheese cloth over air registers. Wipe or wash walls, ceilings or other absorbent surfaces. Use exposed food items or canned goods which have been subjected to excessive heat. Use television, stereos or electrical appliances until cleaned & checked. Send smoked garments to an ordinary dry cleaner – may set smoke & odor. Use do-it-yourself home carpet or upholstery cleaners. Turn on ceiling fixtures if ceiling is wet – wiring may be damaged. 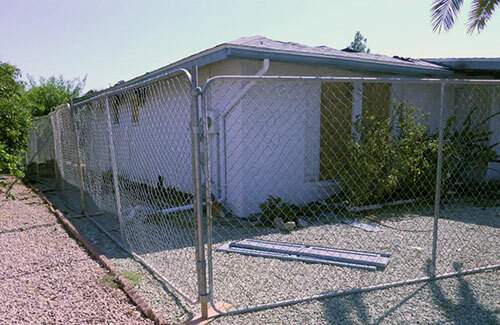 Valleywide Restoration is a family owned and operated company, started in Mesa, AZ in 2000. We are local contractor with over 25 years of experience in the restoration, renovation, and the construction industry. Valleywide Restoration has restored homes in Arizona damaged by floods, plumbing breakage, storm damage, fire & smoke damage and more! Our team will restore your home or business to its pre-loss condition, on time and within budget – Guaranteed!